Thanks to DrukAsia and Tourism Council of Bhutan, PassportChop.com had the opportunity to experience the beautiful natural landscapes, unique building architecture and hospitality of the Bhutanese. Compared to other destinations around the world e.g. Australia and parts of Europe, Bhutan is not as well-travelled by Singaporeans and this had resulted in a number of misconceptions or myths about this beautiful country. Through this article, we hope to share our personal experiences to debunk some of these myths. Tourism in Bhutan is managed through a partnership of government regulators and private travel agencies. There is no restriction on visitor numbers – there is, however, a minimum daily tariff fixed by the government. Any visit must be arranged through an officially approved tour operator, either directly or through an overseas agent e.g. DrukAsia. The daily tariff for tourists visiting in a group of 3 or more is US$200 per day – with effect from 1 January 2012, this tariff will be revised upwards to USD$250 per person per night on a twin sharing basis for the months of March, April, May, September, October and November and USD$200 per person per night on a twin sharing basis on other months. This daily tariff is perhaps the most common gripe I have heard about travel to Bhutan. However, if this is understood in terms of the bigger picture of Bhutan’s policy on tourism and the high value for money of Bhutan tour packages, you will be able to see actually the travelling cost is not that much different from other common holiday packages. As witnessed with many other popular travel destinations around the world, the unrestricted flow of tourist activities can create adverse impacts on a country’s unique culture and traditions and its pristine environment. Bhutan had therefore adopted a policy of “High Value, Low Impact” tourism, on the principle of sustainability i.e. tourism must be environmentally and ecologically friendly, socially and culturally acceptable and economically viable. The “Low Impact” approach is the reason why Bhutan is now a living Museum, rich in culture, tradition, religion, history and has successfully preserved its environment in its pristine form. The “High Value” is evident from the items covered by the daily tariff – all of your accommodation, food, land transport within Bhutan, services of guides and porters, supply of pack animals on treks and cultural programmes. By travelling in Bhutan, tourists also make a significant impact on the lives of Bhutanese as out of the daily tariff, USD$65 is kept as government royalty which will be used by the government to fund infrastructure, education, health and other programmes. Healthcare and Medical is completely free for all Bhutanese and even foreigners! – and this is all funded by tourism money. There are surcharges on top of the daily tariff for individual travellers and couples so to make the best value of your tour package in Bhutan, try to come in at least a group of 3 and you get to enjoy a customised private tour in the comfort of a MPV of a spacious van as well as the above-mentioned items e.g. accommodation and food and private guide and driver! Quality is not compromised as travellers in Bhutan are housed in good and comfortable hotels e.g. 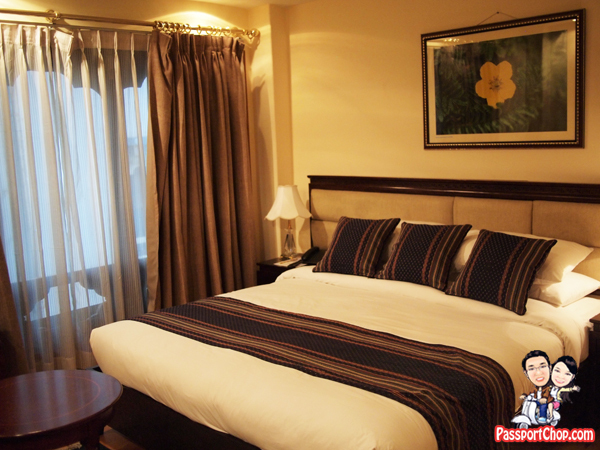 Hotel Kisa in Thimpu (see picture below for our cosy and spacious double room). Come to think of it, where else can you get such personalised services and an all-inclusive package for just USD$200 a day? With all the visa requirements and the need to make tour arrangements with approved travel agencies, it is not surprising that the myth of limited and restricted travel within Bhutan is created and some have brought it further by thinking of it as the government adopting a Big Brother approach with guides closely watching over you. This is completely not true. It is true that you will be accompanied by a guide during your trip in Bhutan but he is not monitoring you but just a facilitator to provide you with more information about the sights you are visiting as well as to bring you to one place to another. If there is time in between sights or after you had checked-in your hotel for the evening, you are free to roam the streets of cities e.g. Thimpu, Paro you are staying in and you can buy, eat anything you want and interact with anyone on the streets. Most Bhutanese speak English quite well (I have to admit most speak even better English than Singaporeans!) and are always willing to assist you in your requests. Along the way, if you see anything interesting, simply alert the guide to stop the vehicle for photo-taking opportunities or ask him to arrange a detour (if time permits). However, do exercise a fair bit of common sense – photography of military installations, facilities and where the King and important officials stay is strictly forbidden (as with any other country). At our request, our DrukAsia guide even arranged a traditional Bhutanese farmhouse visit where we got to see how the locals live – through self-subsistence farming and basic yet modern amenities e.g. fridge, TV. It was indeed an eye-opening experience – seeing exhibits in museums is one thing but seeing local culture and customs in real-life is definitely a different experience. The best time to visit Bhutan is in Autumn (from late September to late November) when skies are generally clear and cool temperature. Not surprisingly, this is also the peak tourist season where tourist hotels are generally quite crowded. Summer, from June to August, is the monsoon season and if you had seen the weather broadcasts in BBC, it is always overcast with heavy rains. This might be the reason why most guidebooks don’t recommend visits during this period. However, this is not very true – we visited in early August; most of the rainfall happened during evenings (after we had checked-in to our hotels) and there is the occasional light drizzle during our visits to the Dzongs. Other than those, most of the days are with clear skies and comfortable temperature. In fact, it is because of the clear skies and good weather that we were able to walk the path (ok we cheated – we went up on horseback) to the majestic Tiger’s Nest (Taktshang Goemba) – see picture below, and managed to get great shots of the temple. Another reason I would recommend travel during the summer reason is for cost reasons – this is considered a non-peak period and you can save as much as 20% of your daily tariff!! Furthermore, most of the time, you will have the whole place to yourself e.g. restaurants, hotels, sights – no need for queues and wasting time waiting. During our visit to Punakha, we were surprised that we were the only guests in the entire hotel at Meri Puensum Resort and we were able to get the best rooms they had on offer – with a great view of the Punakha mountainous landscape. Just to manage expectations, if you are planning a trip to Bhutan, make sure you start your planning early – at least 2-3 months before as getting your visa approved can take quite some time. We only received our visas just 2 days before our flight to Bangkok (for transit to Paro, Bhutan) and our electronic air tickets (just 1 day before)! There is no restriction on visitor numbers but the daily tariff and limited number of flights daily to Paro from various destinations around the region, had indirectly limited the flow of tourists to Bhutan – this is actually good news for travellers as we have more space to experience the “High Value” approach of Bhutan tourism. To get a sense of the low volume high quality tourism, simply check out the tourist arrival figures – Visitors to Bhutan is expected to increase to 48,000 for the whole year of 2011 and this number is only half of what Singapore receives daily! 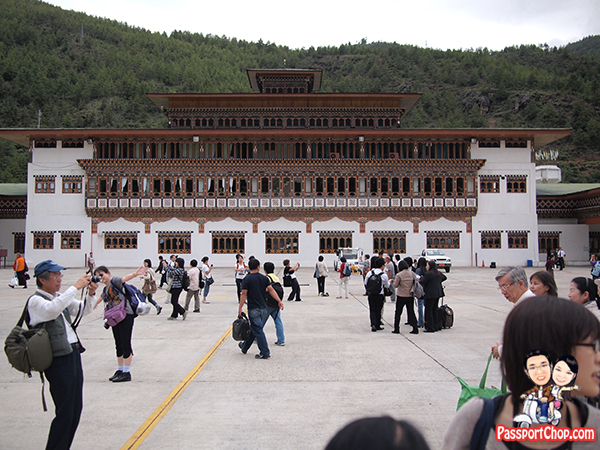 With just 1-2 flights arriving in Paro, you will be able to see tourists busy snapping pictures with the uniquely designed airport building and airplane – something which you will definitely not be able to do in other countries. Thank you very much for your visit and the experience you are taking back home. I think you did very good job having this information of BHUTAN with you. 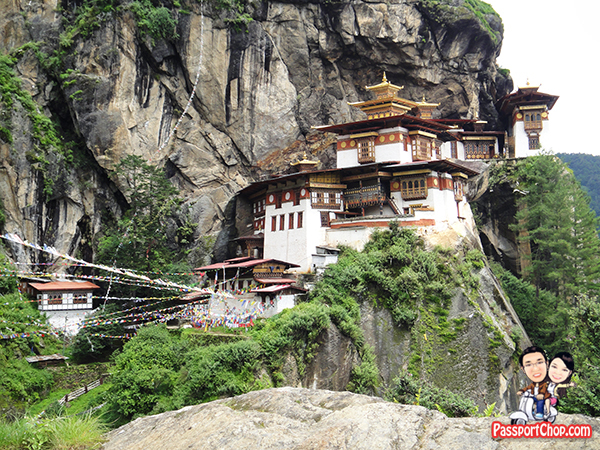 This will make most of the traveler easy and comfortable to visit BHUTAN. Super informative wrinitg; keep it up. Looking forward to my Bhutan trip in Feb/march. What will the weather be like then? Hi Barbara, the weather can get quite cold in early Feb though late Feb/early Mar will be a good time to visit Bhutan as its spring season. Nice post, must plan a trip to Bhutan. Hi! Did you pay a travel agency in addition to the daily tariff? Who did you use? Thanks! The tour agency (which in this case is Druk Asia – http://www.drukasia.com) will factor in the daily tariff, airfare and service charge into the entire tour package cost. “It is true that you will be accompanied by a guide during your trip in Bhutan but he is not monitoring you but just a facilitator“- I had seen somewhere someone griping about the lack of freedom and love your counter statement. “Most Bhutanese speak English quite well (I have to admit most speak even better English than Singaporeans! )“-haha thanks, true to some extent I guess but would especially naturally be true for those involved in the tourism industry. And besides English most Bhutanese are fluent in at least 4 other languages besides English- Dzongkha, Sharchop, Nepali and Hindi. Guess it comes from being sandwiched between huge populous nations such as India and China and having around 19 languages and regional dialects in Bhutan itself. Thanks for this article. I think it’s a much better deal for solo travelers than couples, who (based on current tariffs) pay $500/night total without the additional charges, while sleeping in similar rooms as someone who pays $250/night. For two persons, you still have 1 guide and 1 car like you would for 1 person, so doesn’t seem to be a good deal ifyou are a couple (which is probably the most common than solo travelers). Thoughts? so for the scenario you mentioned, a single traveller will need to pay US$290 per night and a couple traveller will need to pay US$280 per night per person; and if you are travelling in a group of 3 or more, the per night fee is just US$250 per night. So purely from a mathematical and practical standpoint, it is best to travel in a group of 3 and hopefully they assign each of the person a single room each (for privacy). My thoughts is it depends on the company (as in who you are travelling with) – if the person you are travelling with is your best buddy or spouse, while financial-wise, it might not seem worth it but I think that getting to share the Bhutan experience with your loved ones (or best friends) is priceless.